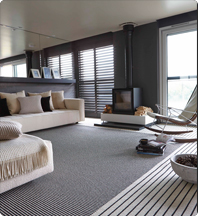 At Carpetright we have laminates with many different structures, created for long-lasting comfort and easy to keep clean. We have laminates with a V-joint and laminates with authentic structures, with wood structures, with exotic structures, with rustic structures and much more. We have the perfect laminate for everybody at Carpetright! Below you see a selection of laminate structures which you can find at Carpetright.